Havells India Limited is a Fast Moving Electrical Goods Company. Havells enjoys enviable market dominance across a wide spectrum of products, including Industrial & Domestic Circuit Protection Devices, Solar Panels, Solar Inverters, Solar Light, Solar Batteries, Cables & Wires, Home Appliances, Air Conditioners, Electric Water Heaters, Power Capacitors, CFL Lamps, Luminaries for Domestic, Commercial and Industrial Applications. Havells Solar Has Positive power tolerance. Havells solar panels are extremely reliable product suiting all environment conditions. Havells solar panels are IEC Certified- 61215, 61730, 61701. Havells solar panels are highly reliable Anti-reflective coated glass. 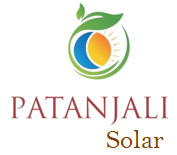 The portal helps in tracking performance of each and every solar module. Receive automatic alerts on system issues through mobile application. The portal is free for 25 years with no additional investment. In Havells Solar System whenever AC power is off, DC voltage drops to 1V per optimizer-a safe voltage- to protect your property from fire and life threatening shock.